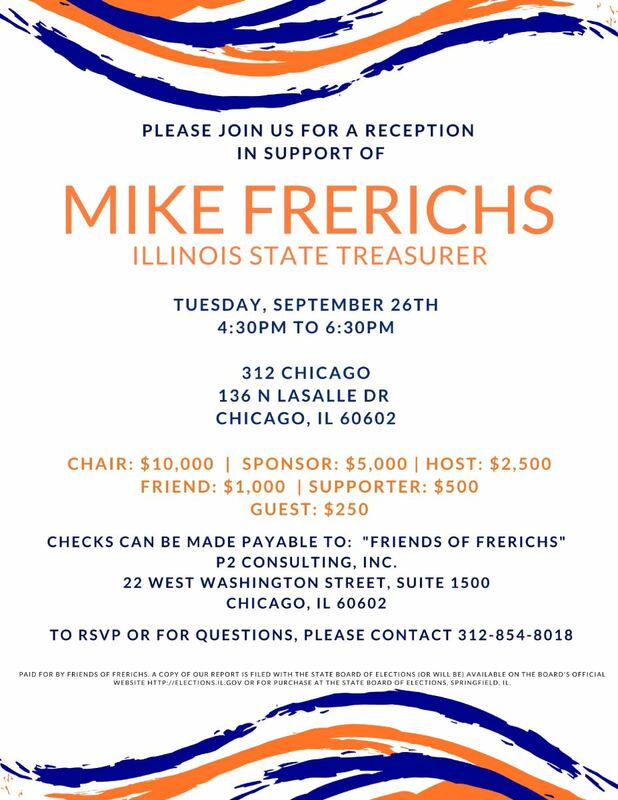 Don't forget to come out for my annual September reception tomorrow evening, September 26th! Please note the start time has changed to 4:30PM. I hope you will still be able to join me at 312 Chicago (136 N LaSalle Dr, Chicago, IL 60602) for a night of great conversation and fun. If you would like to RSVP online, please click HERE. For questions, please contact my office at (312) 854-8018 or email Kaitlin Delaney at kaitlin@p2consultinginc.com. Thank you & I look forward to seeing you tomorrow night!